I’ve written this story before, but it doesn’t hurt to re-tell it a bit. 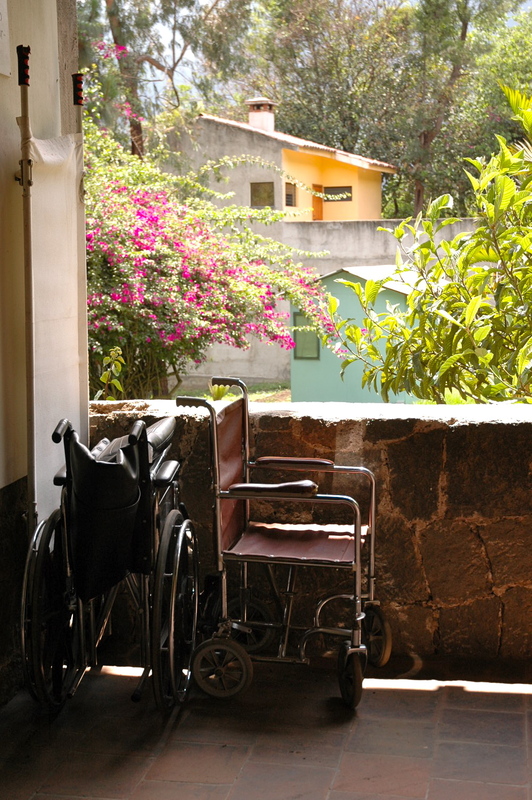 In 2005, Hospitalito Atitlan, located in Panabaj and less than two years old, was destroyed by devastating mudslides. 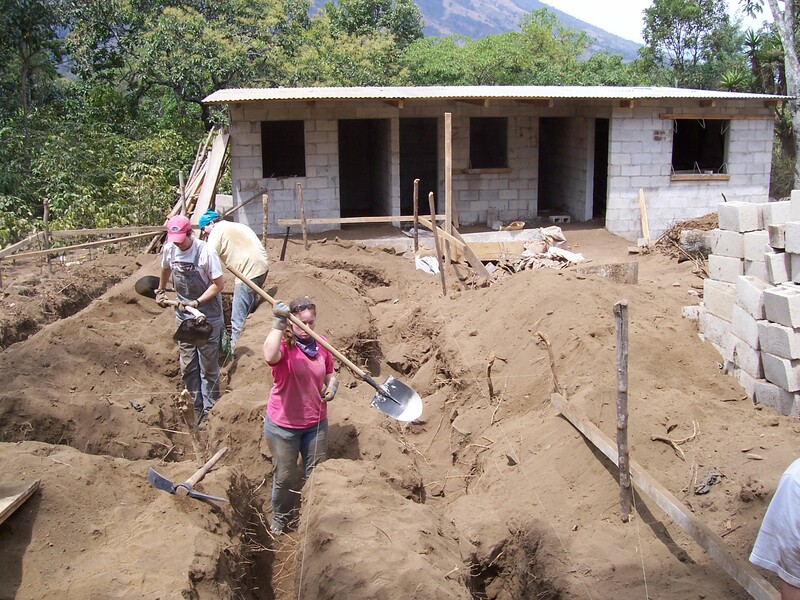 We had planned a March 2006 trip to help add a cafeteria to the hospital, but due to mudslides, we spent that spring break digging foundations near the temporary hospital (established on the opposite end of town). The foundations would eventually be homes for families with special needs children, as there was a small special needs school right next door. 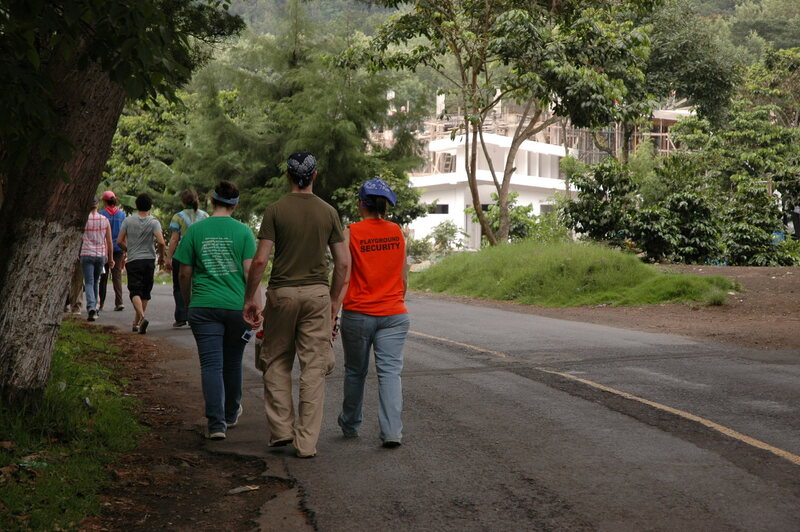 Another group traveled to the same place in March 2008, not long after they broke ground on a brand new hospitalito. That group worked on foundations yet again, but this time it was for what would become a point of local pride. When we rounded the corner on our first day of work this year, our jaws dropped at how beautiful the new hospital looked (particularly the jaws of those who had helped dig in 2008). The plan is for the first two phases of the hospital to open in November, 2010. And let me just tell you, it is beautiful. At this point, they are pouring concrete on the second floor. Much of the wiring has been completed, and hangs here, there, and everywhere. 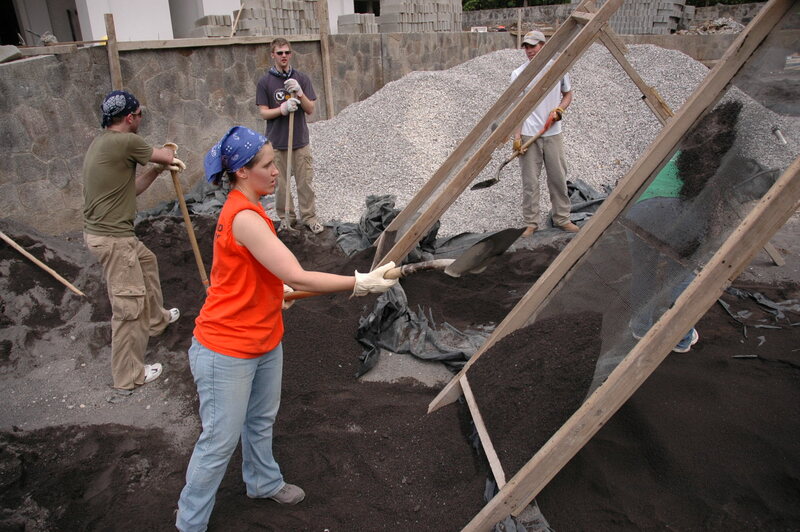 Our job was to aid with cement-making by sifting dirt and wheel barrowing it uphill to where the mixing would occur. 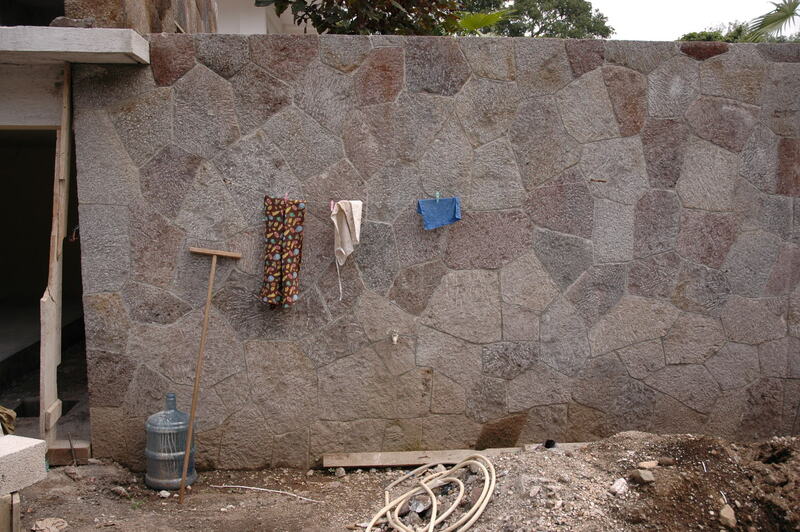 When this job was done, we wheel barrowed the rocks that would be mixed in, as well. It was a lot of wheel barrowing, and by Thursday, we were exhausted. Luckily, it was our fourth and last day of work. Although it was basic, physical labor, the rewards were great. Both the leadership and the workers seemed grateful to have us there. And, though none of the workers spoke English (and only a few of us spoke Spanish) they seemed to find great humor in a group of people who kept singing songs from Wicked and Rent…I have no idea why. 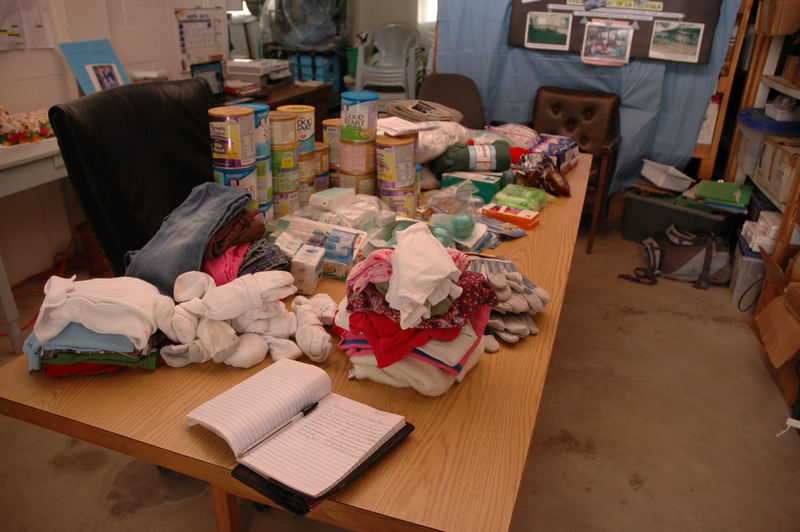 We also came with several donations for the hospital, which they were extremely grateful for. 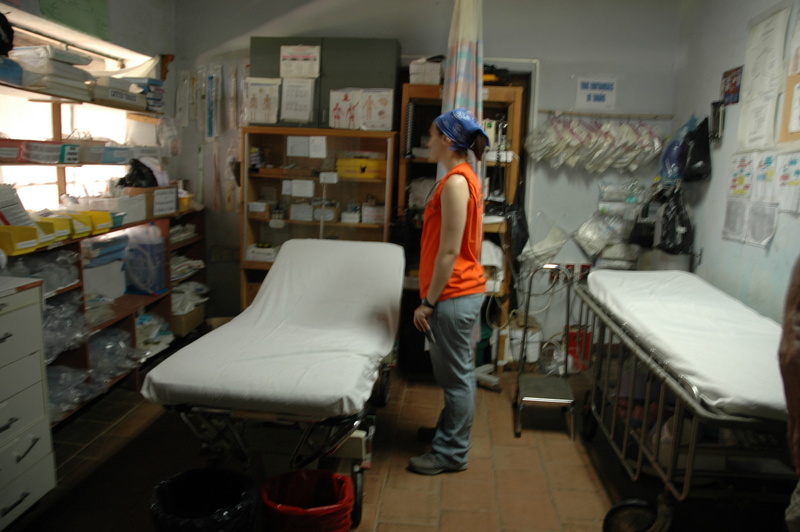 The temporary hospital has been functioning for years now. 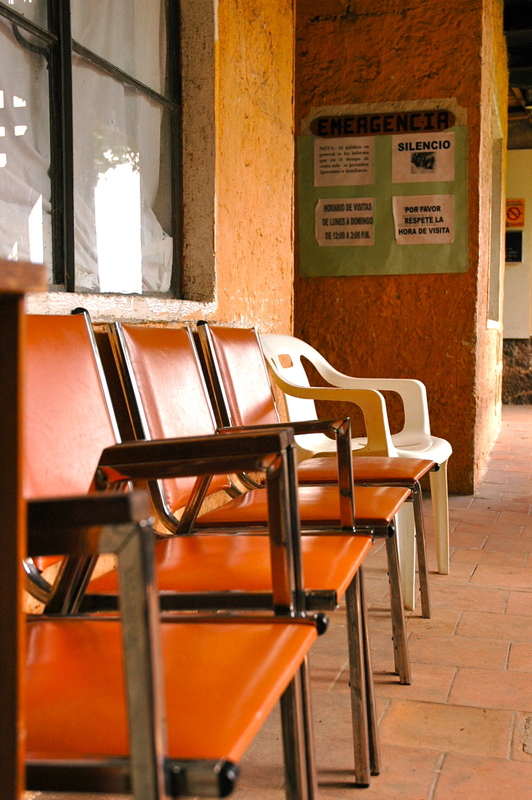 People wait outside in chairs for the Emergency Room, which is a single room with just two beds. 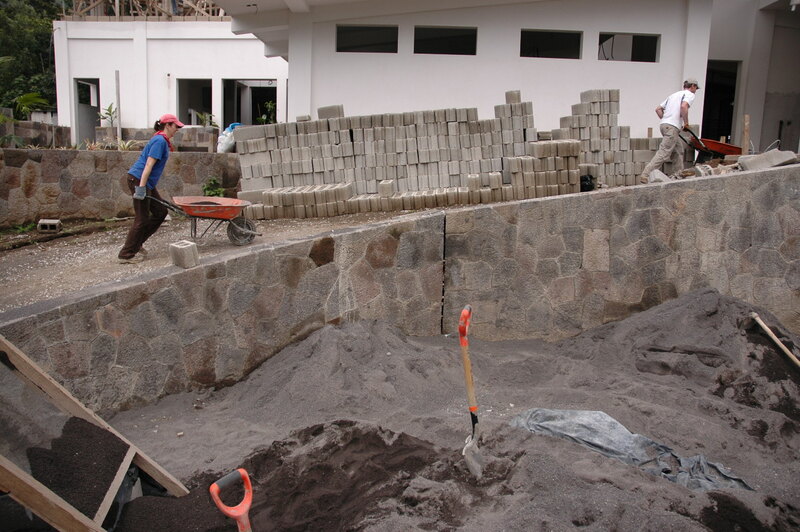 The NEW Hospitalito Atitlan will open the first two phases in November. Pretty amazing.